With the media focussed on ‘doom and gloom’ for the property market over the past few weeks, Craig Mackenzie, who heads up RP Data’s corporate services division, today takes us through the key drivers in the market. Craig explains that history and statistics tells us that there are two key drivers to the housing and related mortgage finance markets; interest rates and consumer confidence. According to Craig, changes to the official cash rate by the Reserve Bank over the years have a very clear correlation to the rate of home price appreciation or the change in home values. “Conversely, when rates go up and are expected to keep rising, home values nearly always typically reduce, or at least stay flat. It is by no coincidence that the upswing in the housing market, which commenced in June 2012, followed the commencement of the interest rate easing cycle in May 2012, when the RBA aggressively cut the cash rate by 50 basis points,” says Craig. With interest rates low and expected to remain low throughout 2014 and into 2015, Craig says that consumer confidence, as the other key driver, warrants closer attention. 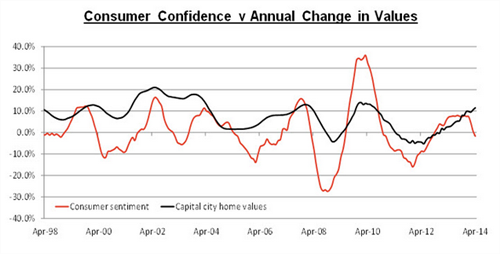 These two graphs highlight the importance of consumer confidence on the housing market. 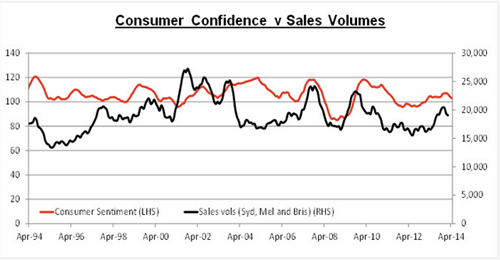 The first graph tracks consumer confidence, measured by the leading Westpac Melbourne Institute Index of Consumer Sentiment and property sales volumes in Sydney, Melbourne and Brisbane. Craig noted that there is a very close and obvious correlation: when people feel confident in both their personal environment (employment and financial situation) and the broader environment such as interest rates and the overall economic outlook, they are far more willing to purchase a property. According to Craig the volume of property sales is an extremely important metric to monitor as it is a key driver of economic activity. “Whenever a property is sold, a range of economic activity is generated which has a multiplier effect throughout the economy. Of course, this multiplier effect is even greater in the case of the construction and sale of newly constructed property,” he said. Whilst the volume of property sales sits well below the peak in 2001-2002, property sales have increased by 20-25 per cent over the past twelve months or so, although there is clear evidence that the Sydney and Melbourne markets have begun to cool off in terms of both sales volumes and the rate of value increases. This is despite the fact that the Westpac Melbourne Institute Index of Consumer Sentiment has fallen by 9.6 per cent since November. “The ‘doom and gloom’ scenario painted by the media over the past few weeks, and views that the Federal Budget will implement the ‘tough choices’ that the Government needs to make, the Commission of Audit Report released last week and the Budget on 13 May expected to have an adverse impact on middle class Australians. It will be very interesting to observe the resulting impact on consumer confidence and how this flows through to the housing and mortgage markets. 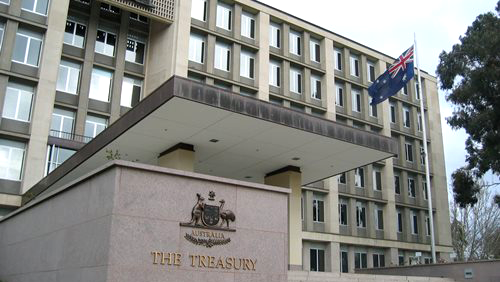 “It may well be that some political pundits will turn out to be accurate in that consumer confidence may in fact not be materially impacted because the Budget will not turn out to be as severe as the pre-Budget ‘scare campaign’ is making out. “The Budget outcomes will be closely watched for any impact on the motivation and incentive it has on people’s willingness to re-enter the work force, work additional hours and /or seek supplementary employment, all of which are strong factors into people’s decision process about whether or not to enter the housing market and/or extend themselves further through additional borrowings,” says Craig. This article was originally published by RP Data. RP Data is the largest provider of property information, analytics and risk management services in Australia and New Zealand with a database of 220 million property records. RP Data services customers ranging from real estate agents and consumers to banks, mortgage brokers, financial planners and government bodies.